There are many people out there who want a new office copier but think that they are too expensive. They will continue to use their local print shop or some alternative until they feel that they have reached a spot where a lease is justified. However, this is not always the best course of action. Getting a used copier from our great selection at NYC Copier is actually a great way to make sure you have what you need when you aren’t ready for a copier lease. We understand the difficulties that can come from being on a copier lease. They are long contracts and you will be responsible for making payments every month. This isn’t right for everyone. At NYC Copier we offer a number of solutions to make it easy for you to make the right choice. 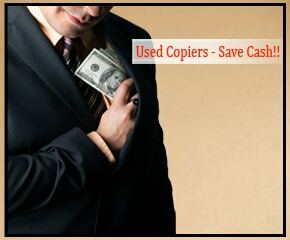 Our selection of used copiers is the best in NYC. We make sure to work with responsible businesses that took great care of their copiers during their original lease. This helps ensure that they are going to be in incredible working condition when they arrive to your office. We even have our technicians look them over to make sure that they are ready for your biggest jobs. Give us a call to learn more about getting a great used copier for your business. We know we can help you get what you need to get your business running correctly.